How Many Changes Can Be on the Way at THV? With the release of the July Nielsen numbers the folks at KTHV/Channel 11 have to be thinking and coming up with some changes. In September Matt Turner will take over the anchor desk and be paired with Dawn Scott but one has to think bigger changes are coming too. KTHV hasn't seen such low numbers in the morning in years. I'll admit I have not watched KARK mornings in a while but might check them out to see what they are doing now to surpass KTHV in the early mornings. Arkansas Business.com reports KATV/Channel 7 won every single news time in the July sweeps. Meanwhile, KTHV/Channel 11 seems to be falling further and further behind...losing the 5 a.m., 6 a.m., 5 p.m. and 6 p.m.time slots to KARK, putting it in third place! 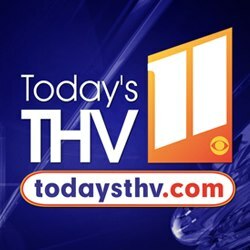 AB.com says KTHV beat Channel 4 only during the noon hour. KTBS Midday News expanding to one hour from 11AM-Noon beginning in September. With the departure of KATV anchor Heather Crawford a couple of weeks ago Channel 7 has been without a permanent weekend anchor. Several reporters have manned the weekend anchor desk since. Today longtime KATV anchor/reporter Beth Hunt is taking care of the duties. 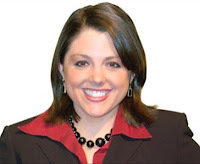 Has KATV officially given her the position? Would be a wise choice in my opinion. Source: KHBS/KHOG Beginning tonight, August 20th and airing seven days a week, viewers will be able to watch 40/29 News on the Arkansas CW at 9:00 p.m. Using the award-winning newsgathering resources from its sister station 40/29 TV (the ABC affiliate in the Fort Smith/Fayetteville TV market), the 9:00 p.m. newscast on The Arkansas CW will offer local viewers an earlier option for the LIVE. LOCAL. LATE BREAKING. coverage they have come to expect from 40/29 News. 40/29 News at 9 on the Arkansas CW will feature familiar faces, including Angela Taylor, Drew Michaels, and sports with Mike Jacques. On the weekends, Jay Plyburn and Brittany Bell will anchor the coverage. As is always the case with 40/29 newscasts, teams of field crews from across the entire region will cover the important news of the day from Fort Smith, The River Valley and all of Northwest Arkansas. “We’re committed to giving viewers a comprehensive late news option at 9:00 p.m. on the Arkansas CW,” said KHBS/KHOG-TV President and General Manager, Brian Sather. “I know other stations have chosen to deliver a different kind of experience at 9:00 p.m., but we plan to offer a substantial, fast-paced traditional 30 minute newscast filled with local news, delivered by our award-winning team of journalists,” added Sather. THV Producer/MMJ Moving to Sports...REALLY! KTHV/Channel 11 producer and MMJ has tweeted she is moving to sports! Jessica Duff tweeted she is celebrating the move to sports. Duff currently produces Today's THV This Morning Saturday and has been an MMJ.She does have a sports background, as her bio says she worked as a sports assistant at WVLT the CBS affiliate in Knoxville, TN. Changes keep on comin' at Today's THV. 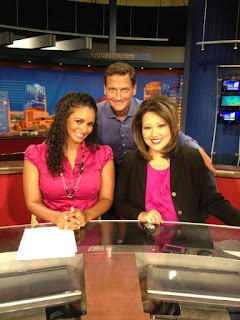 Sunday will be sports reporter/anchor Aiyana Cristal's last day at Channel 11. Cristal joined THV in August 2010 as a sports reporter/multimedia journalist. Where Does Craig Fit in the Picture? 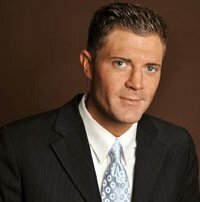 With the official announcement Matt Turner is joining KTHV/Channel 11 as an evening news anchor...we now speculate where Craig O'Neill will go. Will he be moving back to head the sports department or will KTHV move him to the morning news program? We will have to wait and see! UPDATE: THV Anchor Dawn Scott Tweeted it would be her and Matt on the Anchor desk. Makes sense to have the same two main anchors for all evening newscasts. Now where does Liz and Craig go? I say move Liz to sub anchoring and the weekends and reporting and Craig back to sports. Source: KTHV We are proud to announce Arkansas native Matt Turner is joining the Today's THV News Team as an Evening News Anchor. For the past nine years, he has been a fixture in Northwest Arkansas as primary news anchor for KNWA (NBC) Television in Fayetteville. Turner is an Arkansan through and through. He was born and raised in Arkadelphia where he played baseball for Arkadelphia High School and was an all-conference pitcher. Being a two-year starter for the Arkadelphia Badgers led him to quarterback for Southern Mississippi, then after one year in Hattiesburg he transferred to his hometown to play starting quarterback for Ouachita Baptist University where he met his wife Julee. He was born and raised in Arkadelphia where his late father was long time pastor of 3rd Street Baptist Church. Matt grew up watching KTHV and has written articles for the Daily Siftings Herald and also provided sports play by play to radio listeners. Today's THV President and General Manager Michael Caplan stated, "Matt is an Arkansan who brings a wealth of experience, ranging from breaking news and political reporting to firsthand knowledge of Razorback athletic programs." THV News Director Chuck Maulden added, "Matt adds even more credibility and brings real versatility to our team. Everything in his past has prepared him for this job. He has hosted statewide debates for senate and congressional races, he's covered breaking news, written, shot and produced countless stories as well as documentaries and he knows the newsmakers throughout Arkansas." Turner takes pride in the many relationships he's built with so many Arkansas sports figures and politicians. He says, "Just days after earning my degree in Mass Communications at OBU, legendary broadcaster and 'Voice of the Razorbacks' Mike Nail offered me a job to cover Arkansas athletics. I was in 'Hog Heaven'. My career became even better with my transition to news." Turner says the relationships that mean the most to him involve his wife, daughter and family. He is proudest of his 8-month-old daughter Preslee Bell. Turner states, "My wife and I are coming home and now I'm a part of a television station that I grew up watching. My mom and family will see me covering the Little Rock area and that will be one of the greatest joys of my life. I'm more motivated than ever to serve my fellow Arkansans by providing informative, entertaining and quality news! I'm dedicated to making a positive difference at Today's THV and I can't wait to get started." Matt Turner will make his Little Rock television debut in September. Former Shreveporter Looking to Come Back? Just in case you didn't know... apparently former KSLA 12 reporter Jonathan McCall is in town interviewing for a morning co-anchor position at KTAL. TV Spy reports Greg Sheppard has been hired as the new News Director at KHBS/KHOG/Fort Smith-Fayetteville. He comes to Northwest Arkansas from KCRA, the Hearst NBC affiliate in Sacramento, CA. After numerous complaints the Louisiana Lottery is leaving KTAL in Shreveport and returning to their original station KTBS/KPXJ effective Monday August 20th. The lottery show will are nightly on KPXJ CW 21 then re-air on KPXJ's sister station KTBS ABC 3. I have tears in my eyes writing this letter. 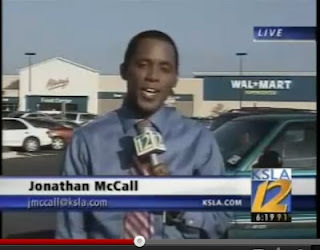 Tonight at 10 I will anchor my final show at KATV, and next week I will be moving with my family to Jacksonville, FL. The past six years have been truly unforgettable. We've been through so much together, the birth of my two children, the loss of my dear friend and colleague Anne Pressly, and so many other highs and lows. I want to thank you for the bottom of my heart for inviting me into your homes each night to deliver the news. I have been so blessed to work at such a wonderful television station and do what I love. KATV truly is a family, and I've had the honor of working with so many talented individuals both in front of and behind the camera. It's hard to imagine leaving, but I'm getting ready to embark on a new adventure in the Sunshine State where I will continue my news career. Arkansans are some of the nicest people in the world, and this state will always hold a special place in my heart. My two children will always be Arkansans having been born here, and we plan to come back and visit often. While change can be scary I take comfort in one of my favorite Bible verses in Philippians. "Be anxious for nothing, but in everything by prayer and supplication, let your requests be made known to God, and the peace of God, which surpasses all comprehension shall guard your hearts and minds in Christ Jesus." Thank you Arkansas for six wonderful years. Please keep in touch on Facebook. May God bless you and your family. Arkansas Business.com reports KNWA will be moving this fall to new facilities. 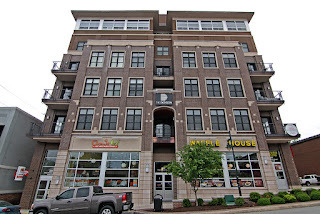 KNWA is expected to move into The Dickson in October at which time they will start airing in HD. Currently KNWA is located on the square in downtown Fayetteville. 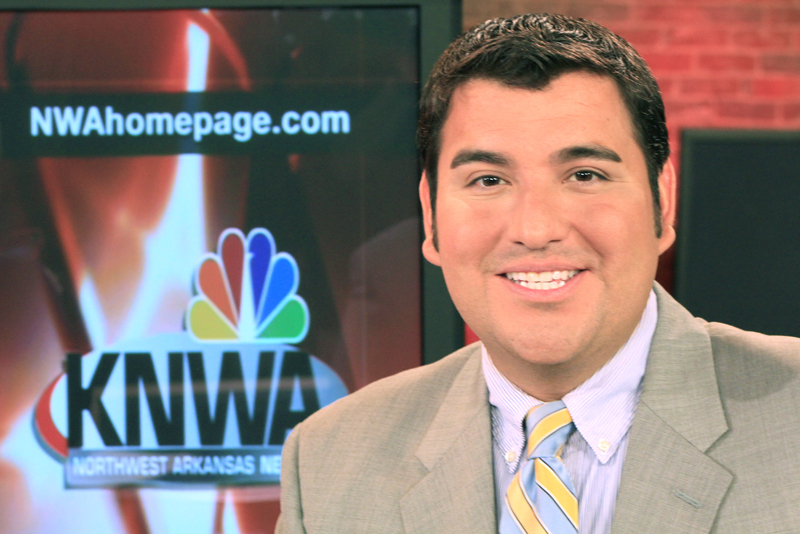 Jonathan Martinez has been hired to anchor the 5, 6, and 10 newscasts on KNWA. Martinez is originally from Galveston, Texas. Martinez has worked in Boise, Idaho, Las Vegas and San Antonio, Texas. Martinez replaces Matt Turner who is making the move to Little Rock! Nexstar Already Making Plans for Consolidation of News Rooms? I don't think this is out yet, but this is crazy. KARK and FOX16 will share news studios in the future. KARK's studio will be used for newscasts, while FOX16's will be modified to produce special features / report videos. No idea what this means for staff of both channels, I don't understand why they're doing it.